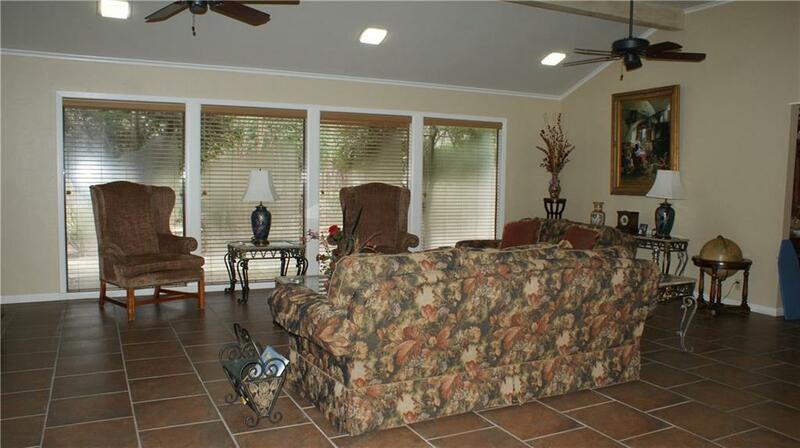 Spacious home on shaded established lot with circular drive, patios, deck and a nice view of pond! 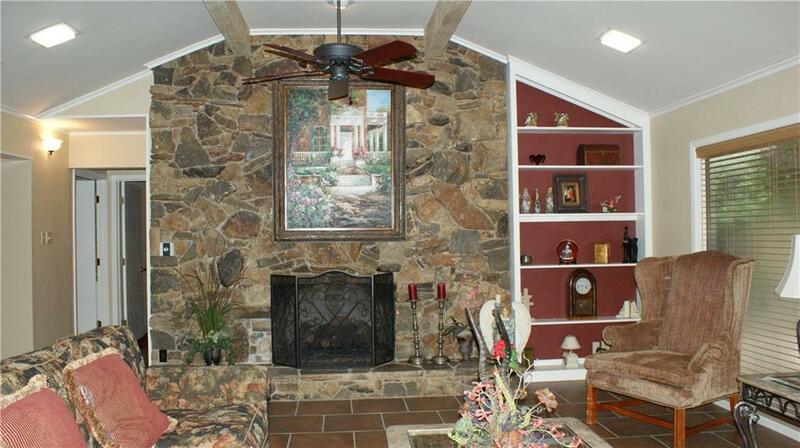 Grand entrance into large open living room featuring stone fireplace, vaulted ceilings and windows across back. 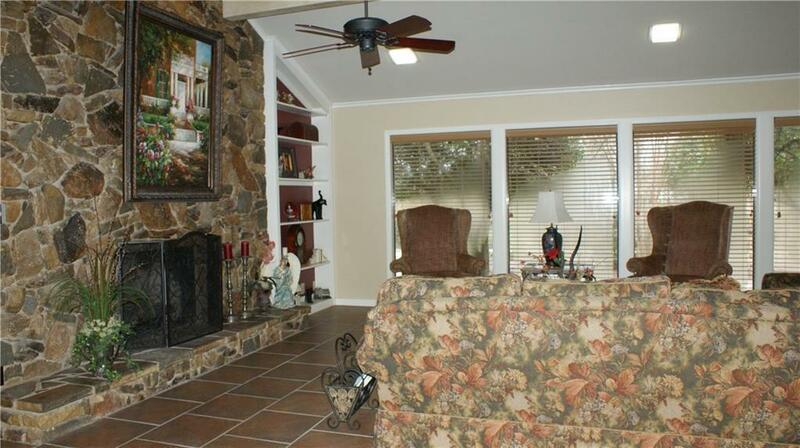 Pretty formal dining area opens to kitchen with all of the built ins and tons of storage. 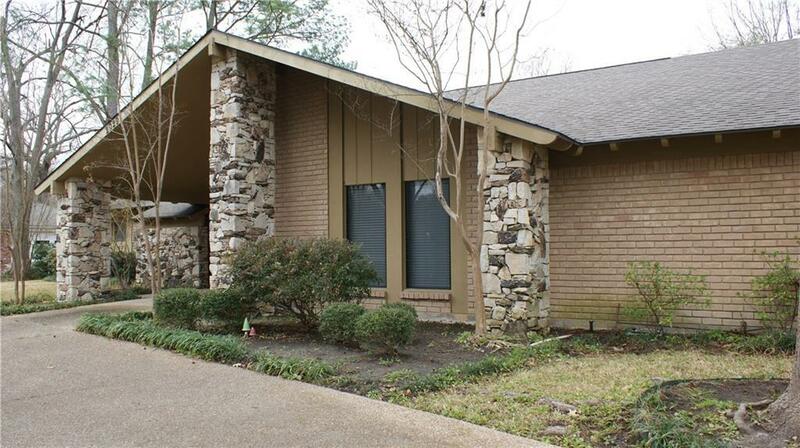 Nice size bedrooms and baths, cedar lined closets, many extras. Several areas for outdoor entertaining as well. Offered by Loudine Marrs of Marrs & Associates Realty.